According to the Titleist Performance Institute (TPI), glutes are the king of golf swing. Now this should not by any means underscore the importance of abdominal or upper back strength. However, power is generated from the ground up, meaning to effectively transfer strength from the torso into the arms and eventually the club; one must be able to utilize their glutes. The reason being that our glutes function during the swing by stabilizing the pelvis; the resulting stability encompasses balance, strength, and muscular endurance. Golfers who tend to excessively sway or slide during their swing likely have weak or non functioning glute muscles. How many times can you say that you hit it just a bit thin or you were consistently hitting fat shots throughout your round? Instead of looking at the mechanics of your swing try analyzing how your body is functioning. I am willing to bet you that if you took up a fitness routine or made some adjustments in your current exercise routine your swing would improve dramatically. Below are some of my favorite exercises to wake up your glutes and have them actively working in your golf swing. Give them a try and let me know you did. Example of a bridge to strengthen the glutes. To perform this exercise, lie on your back, flat on the floor with your hands beside your body and knees bent. Make sure your feet are placed at your shoulder width. Now, push with your heels and slowly lift your hips off the ground. Make sure your back remains straight throughout the movement. Now slowly return to the starting position. 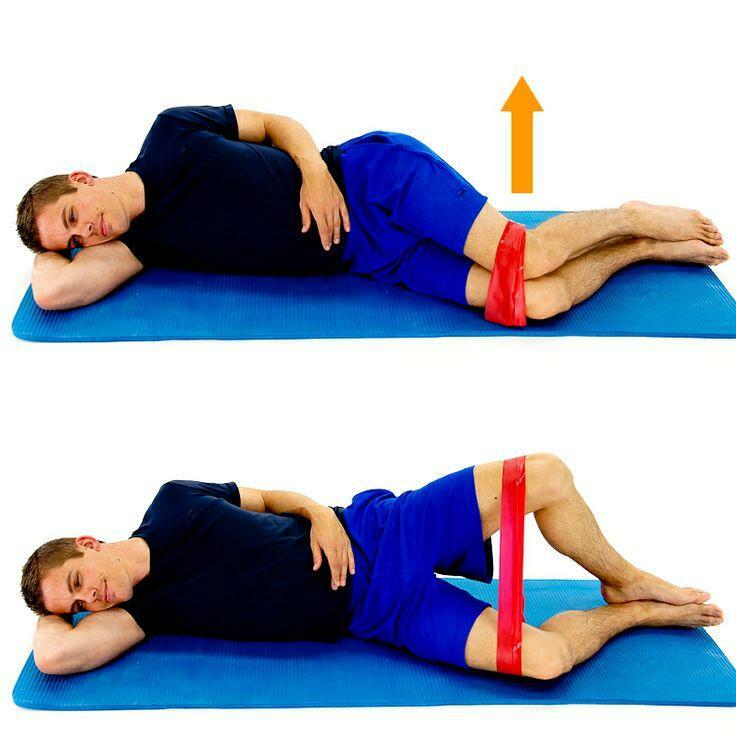 To perform this exercise, you will need a resistance band, which you will place around both your legs just beneath your knees. Lie on your side with your knees and hips bent around 45 degrees and legs stacked together. Now, while keeping your feet in contact, raise your upper knee with moving your pelvis. Make sure you don’t move your lower leg off the ground. To perform a kettlebell deadlift, start straight while holding a kettlebell with both hands. Make sure your back is straight and remains straight throughout the movement. Start the movement by hinging your hips and pushing your hips in a backward movement. Your knees should only bend partially and your weight should be on your heels. When your hip cannot hinge any further, pause for a brief moment and then slowly return to the starting position by extending your hips. Start off by holding a kettlebell close to your chest. 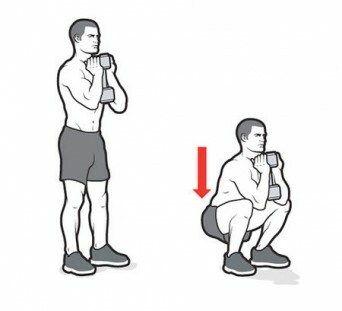 Now squat down until your hamstrings touch your calves. Make sure to keep your head and chest up, while your back is straight. When you reach the bottle, pause for a moment and then use your elbows to push your knees out and return to the starting position. All four of these exercises will help you develop your glutes and allow you to improve the power, consistency, and accuracy of your golf swing.